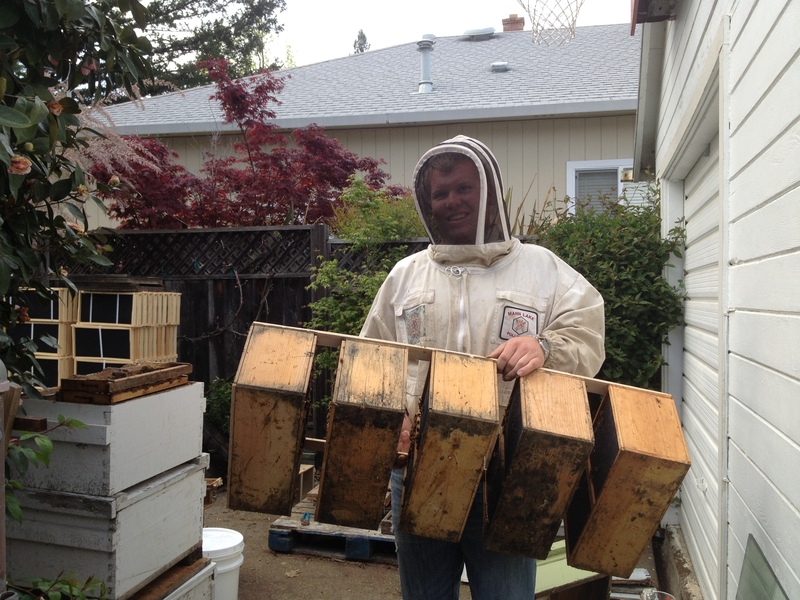 Carson hoists five bee packages on their way to be shaken into their new homes. Installing packaged bees in their new home isn’t as simple as cracking it open and placing them on top of or next to an empty hive. You have to literally shake the little buggers out. Watch as Carson first removes the queen’s little box and places it in the hive, then cracks a can of sugary water for them to feed, and finally shakes the bees out (all without gloves). Be sure to turn your sound up! Carson swears that it doesn’t hurt the bees to be shaken and even pounded out, though one can imagine they aren’t thrilled about it based on how many times he gets stung.